This is very very easy tool to generate your blogger sitemap, so click on this below link to go blogger sitemap generator tool page. 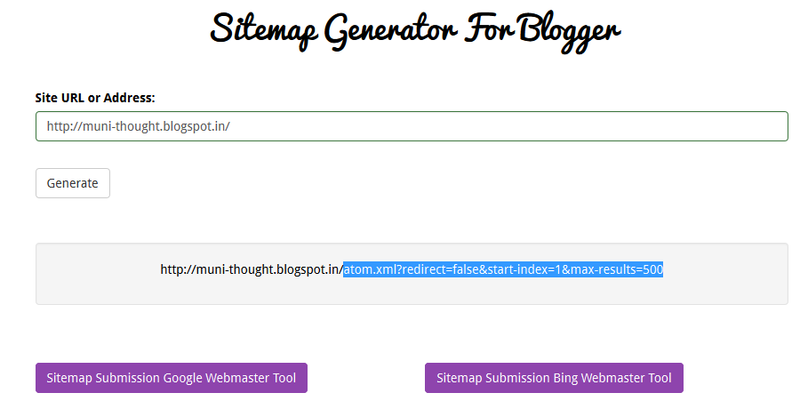 Please enter your bloggger URL in the textbox to generate your blogger sitemap, and click on the generate button. Now you successfully generated your blogger sitemap. Now only copy the highlighted part just like in the above picture.